Fish production has had an extraordinary growth worldwide, during last half a century, accounting now over 100 million tonnes, versus 27 million tonnes of 50 years ago. Aquaculture contribute, that was 1.5% of total fish capture on 1950, represents now the 30% of the total world capture (FAO, 2002 data). On the same time, the average pro-capite fish consumption followed the same growth, reaching 16.3 kg/year on a world average base. The pro-capite consumption in the 25 European countries changes with the different cultures and habits, resulting in a 26,3 kg/year average, while the Italian figure accounts for more than 24 kg/year. 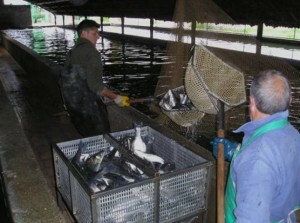 While fishery is not expected to growth because of the already exploited resources, aquaculture is facing the increasing demand of fish products. Farming technologies are more and more sophisticated and aquaculture is suggested not only as a source of good quality food for human population, but for the management of coastal resources and wetlands management as well. The most important challenges of such an Animal Biotechnology, are now represented by the product quality, the minimization of environmental impacts, the welfare of farmed animals. 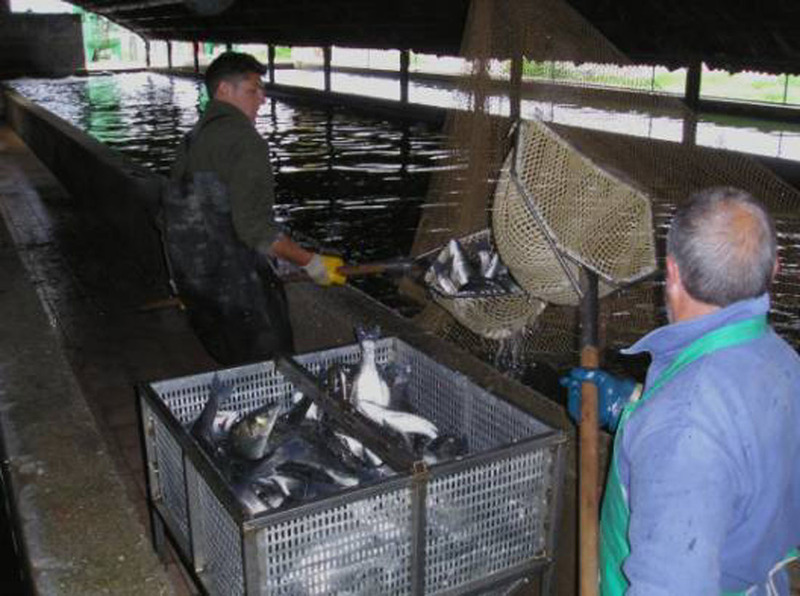 In order to face such goals, the Aquaculture and Fishery Ecology (AFE) Working Group, has been established on 2001 at the former Department of Biotechnologies and Molecular Sciences, now at the DBSV of the University of Insubria in Varese.